Home / Corporate Gifts and Thank You Baskets / Blue Delight! 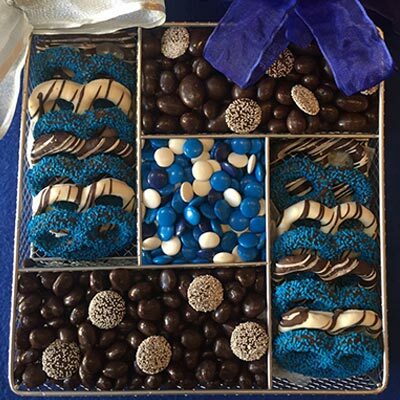 Delicious blue and white chocolates and jelly beans! Perfect for Hanukkah and life cycle celebrations. 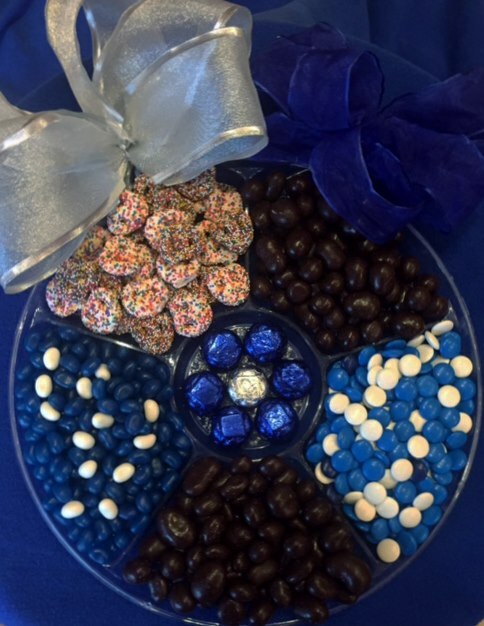 A large delicious blue and white chocolate platter! Great presentation!